As the Indian Tablet market is offering favorable scenario, many of the small scale manufacturers are coming up with the affordable tablets. In this row the new entry is from the Hong Kong Based tablet maker, the Eken Electronics which has come up with the Android based tablet for Indian scenario. Eken is offering the tablet called Leopard which is an Android based tablet offered at the price range of Rs. 6,900 – Rs. 11,999. Eken has teamed up with a Kerala based company called Aldous Glare Trade & Exports which will be distributing the tablet in the Indian market. Eken has claimed that they gonna sell close to 10000 units by the end of this year. Eken Leopard series tablets are the affordable tablet preloaded with Android and Google Play App Store which will offer you the seamless range of Android apps. 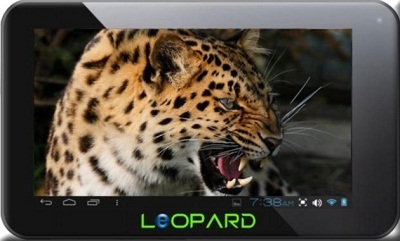 Leopard comes with 7 inches, 8 inches and 9.7 inches display. It has got 3G, GPS, sleek design, power of Android and much more. Specifications are similar in all the 3 tablet model expect the display size and resolution. Eken Leopard would surely be a big threat to the companies like Micromax which recently has launched many low cost Android ICS based tablet. As the Indian market is already flooded with many low cost tablets, it would be interesting to watch how the market reacts to the launch of Leopard. Wordruggle Android Game Review – Awesome Multiplayer Madness!